The 2011 World Cup hosted by India, was eventually won by India. The 2015 World Cup was also on similar lines with the hosting country (Australia) winning the whole thing. So what do we infer from that? Are the Englishmen on the verge of winning their first ever ODI World Cup title? Despite the game of cricket having its roots in the country, England have never tasted victory in the showpiece event. England have been in the final three times, dating back to their first in 1979, then 1987 and then in the 1992 World Cup. They also played in the final of the 2016 ICC World T20, only to be defeated by West Indies in the final over by the heroics of Carlos Brathwaite. The only ICC tournament that England have won is the 2010 World T20 held in West Indies. If we consider the analogy mentioned above, England are favorites to emerge as champions in 2019. But more than the analogy, it is now their ability which seems likely to help them lift the trophy. Having played ruthlessly on foreign soil, now the belligerent Englishmen seem poised to give nightmares to all of their opponents on their home ground. Over the years, England have never been famous for a particular core strength, like India is for batting and Pakistan is for its bowling. But in recent times, the Three Lions have been able to pull off several remarkable victories - through their exceptional teamwork more than anything else. They do also have a power-packed batting lineup now, with the likes of Jason Roy, Jos Buttler, Jonny Bairstow and Joe Root all coming up with one blistering innings after another. It would be difficult for any bowler to bowl to this quartet. While every team has its strengths, England stand apart with their deep batting line up. 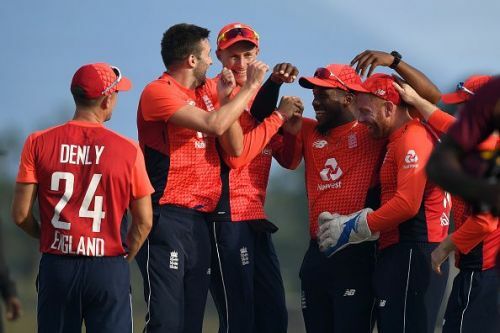 They have a magnificent opening pair of Hales and Roy, a capable middle order filled with hard-hitters and strike rotators, as well as genuine all-rounders in the lower middle order. The kind of batting lineup England have, scoring 400 in practically every game is a distinct possibility for them. The ICC World Cup 2019 starts on 30th May, with the opening match will be played between the hosts England and South Africa. There might be fireworks right from the word go, and England's power hitters would be hoping they finally break the 44-year jinx and take the trophy home this time.